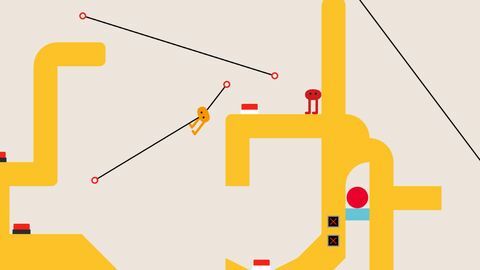 In an interview last year, game designer Arnaud De Bock (Reigns) summed up the Pikuniku team’s ambitions for creating the game as simply wanting to give people “a delightful moment” while they are playing. That’s an admirable reason to do anything, and I’d say the team have done a pretty good job of succeeding. Pikuniku, named after the two the controllable characters, is a puzzle-exploration game set in an extremely charming picture-book world. The quirky humour, sidequests, and cast provide a lot to love and combine to make something extremely approachable that will appeal to new and seasoned platforming fans alike. 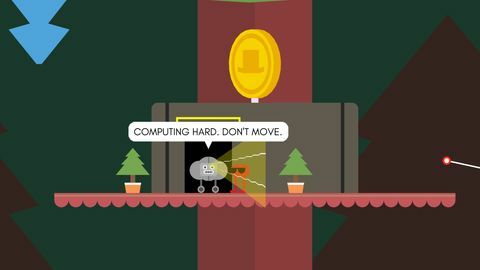 The game sets the scene with a short cutscene from a character called “Mr. Sunshine” in what appears to be a bizarre advertisement. It was funny, slightly sinister, and had me laughing out loud. After that, we’re taken to an underground cave scene where Piku, the wide-eyed hero of the campaign mode, has been woken up from a long sleep by a ghost. We don’t know anything about our hero at this point, or what the ghost wants, and we probably shouldn’t expect to find out because this really isn’t a game that needs explanations. It’s fun simply for the sake of being fun. flailing through town on silly side quests turned out to be a delight. Piku is a clumsy hero who moves using procedurally generated animations that don’t always act predictably. 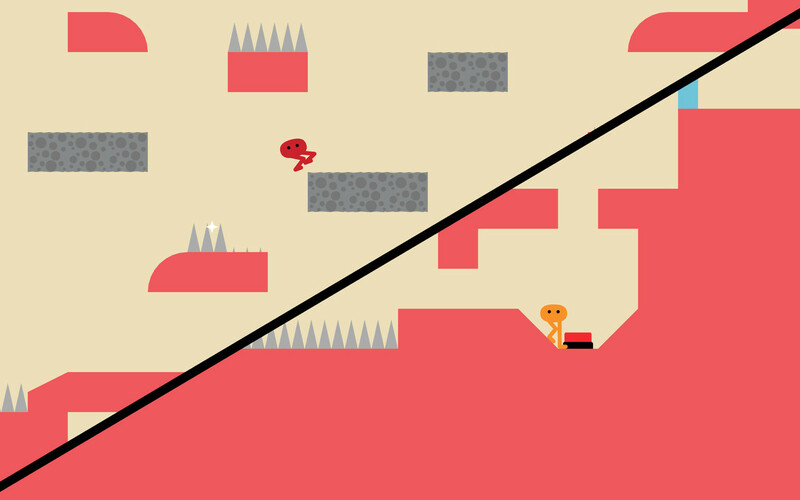 At the start, the game uses the cave area to teach some basic controls for platforming and how to break obstacles. After completing the tutorial, Piku rolls and bounces into the nearby town that seems completely free of danger, and almost entirely free of any platforming too. Here you can have friendly chats with birds, play hide and seek with a rock, and eventually win the affection of the townspeople. If you feel like it. Stumbling and flailing through town on silly side quests turned out to be a delight. Embracing the clumsiness of our hero and their helplessness in everything was a lot of fun, and made the game surprisingly relaxing. Making mistakes (and occasionally breaking things) became a key part of how I explored the environment, which I just kind of had to accept. It fit with Piku’s character too who, depending on the player, could be a well-intentioned clutz or a total jerk. The quirky humour, sidequests, and cast provide a lot to love. The vibe between the tutorial and the first town felt very different to me though, and ultimately my negative experiences towards the game stemmed from the way these vibes failed to mesh. When I’m playing a game, I want it to teach me (in some way) how it expects me to engage with it. Setting up these expectations early on, is in my opinion, something that can make or break a player’s experience. Pikuniku’s tutorial set up expectations around how to solve problems that felt immediately thrown away, only to be brought back after I get used to the different pace. The issue here is that I don’t always feel like I’ve had any warning for how or when it will do this. At times that made solving simple challenges slightly more complicated in that I would also have to understand what the game was expecting at this moment, and I didn’t always feel like it gave me a chance to figure that out. Couple this feeling of confusion with a purposely clumsy control scheme, and certain challenges became a chore. In one challenge Piku is forced to outrun a boss in a chase scene. As I was nearing the end a pile of rocks fell from the sky and Piku was taken with them. The game doesn’t teach me to watch out for rocks, it doesn’t seem to give me any warning, and for the rest of the game it never happens again. Beating an enemy or mini-game in those circumstances doesn’t feel particularly rewarding, and it doesn’t build much trust between the player and the game itself. If these moments were all sidequests it wouldn’t bother me, but I needed to engage with these aspects of the game to progress through the main story. The only thing that motivated me to bother was the prospect of discovering more ridiculous characters. The only thing that motivated me to bother was the prospect of discovering more ridiculous characters. Which sums up my experience really. 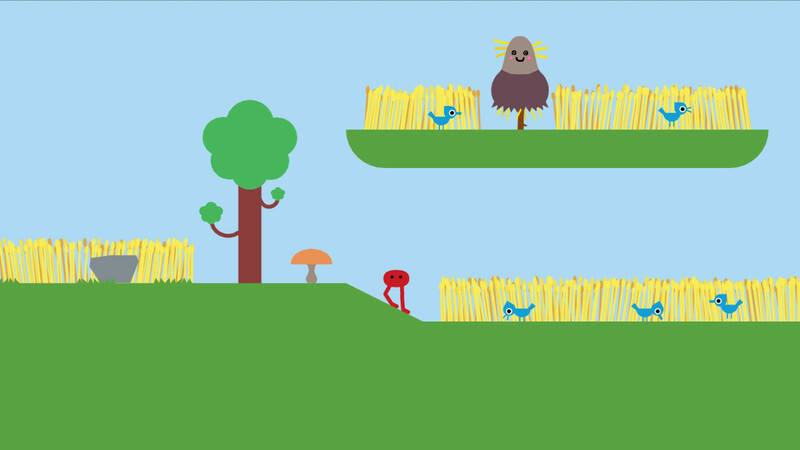 The endearing world that the Pikuniku team has built is incredibly fun to engage with, and even with some of the draining experiences, these highlights are enough motivation for me to slog it out. And I’m glad I did! I won’t spoil anything but the final scene in the solo campaign has a brilliant ending. The co-op mode was decent too, although a little light in terms of challenge, I can see it being a lot of fun for younger players or families. 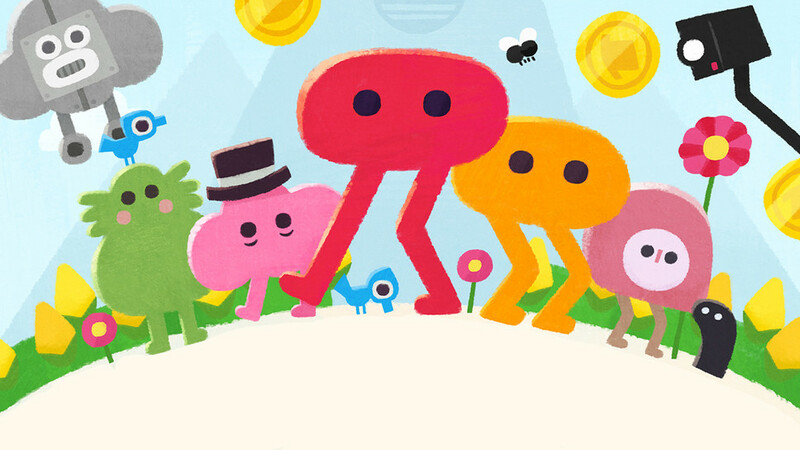 PikunNiku has a lot of appeal, and while its attempt to experiment with different types of challenges and gameplay didn’t always mesh for me, I admire the team for creating something born out of such a humble ambition, and I hope we see more wholesome games like PikuNiku in the future. Pikuniku is a hilarious game that’s oozing with charm. Its single player campaign is full of moments that make you feel like a kid again, and its co-op mode is surprisingly relaxing. Unfortunately its charm is let down by a clumsy control scheme that doesn’t always mesh with some of the mechanics, and this can create an experience that ultimately feels unrewarding. op mode sometimes leaves one player doing all of the work.